Knowledgeable and experienced, we work with a number of wrought iron experts who offer their services throughout the Cornwall area. No matter what enquiry you may have, our experts will ensure all of your needs have been met to the highest of standards. 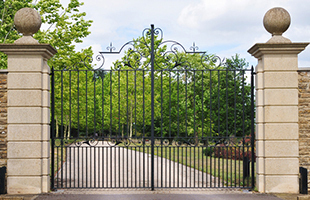 Classic Home Improvements - With their knowledge and expertise, Classic Home Improvements can design and build a bespoke wrought iron gate to your exact needs and requirements.